Finding children for your ancestors – all of their children – is an important part of telling their story. I don't just look for my direct-line ancestor and ignore the rest; that approach doesn't explain why they made the decisions they did, what challenges did they face, etc. So I normally look for as many children I can find for any couple because they help tell a better story and because they can offer other leads to other ancestors. When you only know about your direct ancestors you are missing out on some great stories, and even possibly where they came from. 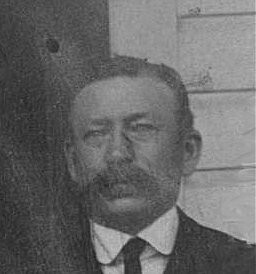 My father told me about his grandfather, Jeremiah Shay (1857-1937), pictured below. My father told me a couple stories about his grandfather arriving wearing his mother's shawl because he didn't have a coat and he told a story that Jerry arrived with his brother. An unnamed brother. I still cannot find Jerry's entry into the U.S. but I found a note that he atteneded a funeral in 1914. It was unusual for him to take time off work so I followed the lead. A John McNiff had died so I looked into John. That led me to newspaper articles about the funeral and that John's wife, Mary, was a Shay. 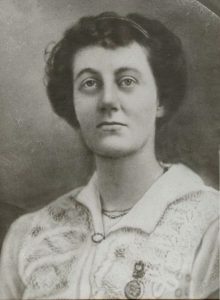 So I started researching Mary Shay McNiff. Through census and lots of newspaper articles I found Jerry's parents had been immigrated to the U.S. about the same tiem as Jerry … and his sibilngs James, Mary, Patrick, Catherine, and Eleanor. I found out his parents were Patrick Shay and Eleanor/Ellen Driscoll. I found Jerry's paternal grandparents were Patrick Shea and Katie Sugrue (sha-grew) and his maternal grandparents wee Jeremiah Driscoll and Mary Barry. And they all came from County Kerry. So, by collecting and researching my great-grandfather's sister I was able to push back not one but two generations and positively identify where they came from in Ireland. With the Catholilc Parish Registers at the National Library of Ireland (NLI) I may be able to find their townland or parish. When you find other children for your ancestors you can dig into their lives to see if they lead to more information about your direct ancestors. These other people hopefully grew into adults with lives, and a paper trail, of their own that may help you. 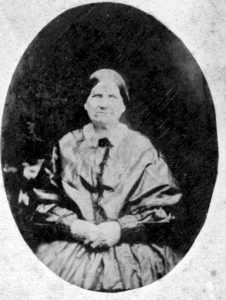 I learned a great deal about my 3x great-grandmother, Nancy Shaver (1808-1862) when I startedlooking for brothers and sisters. Previous research identified her parents as Benjamin Shaver and Mary Loder and I knew Nancy married John Mingos (1800-1871) about 1825 in Lansing, Tompkins County, New York. Nancy is pictured below later in life, courtesy of Patricia Mims. The early census documents would not help since they only listed head of household. They did, however, help me realize there were many other kids in the family. So trying to find brothers or sisters could be worth the time. There was one boy and several girls. Okay, there were 9 girls and while girls are harder to research it was still a chance. It was a struggle until I came across a biography for Mrs. Eliza Lane, a daughter of Benjamin Shaver and Mary Lowder who was born in1811 in Lansing. The biography was in a book called Landmarks of Tompkins County, New York by John H. Skelreg. The story lists her two brothers and 10 sisters by name! I didn't learn much more about the parents but I learned that Nancy's real name was Hannah and Nancy was a nickname. Nancy came from a big family and she was the second oldest… and that her older brother Benjamin died young so she was technically the oldest. Eliza went to Allegany County, New York with Nancy and John when the Mingos clan moved there in the 1830s. I was able to create a better picture of who Nancy Shaver was. You can also find some surprises. I recently found a birth and death certificate for a stillborn girl born to my great-grandparents, Henry Homer Spencer (1875-1964) and Minnie A. Mingos (1879-1952). Both of these records tell a sad story of a child brought to term but who did not survive. Both of these records also include Minnie's middle name: Augusta. I have found no other record, including her death certfificate or her marriage license, that included her middle name. She was always just "Minnie A." Minnie is pictured below from her 1897 wedding photo. I was happy and sad at the same time to find this child. Sad that she didn't live and she wasn't even given a name. Happy that I know she existed, where she is buried, and her mother's middle name. She helped expand what I know and what I can share with Minnie's descendants. Finding children, including brothers or sisters, of your ancestors can help you tell a better story about your ancestry as well as, possibly, pushing your research back to find more ancestors.